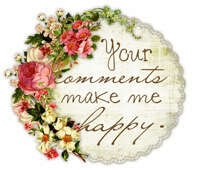 My Adored Stepson sent me a text and called me today to wish me happy Mothers Day. I survived 40 years without giving Mother’s Day a second thought (other than to thank my own mother), so I’m still a little surprised — and pleased — when I’m thought of on Mother’s Day. Best gift of all: My 18-year-old stepson, after living the past three years with his mother in Minnesota, is graduating this week and spending the summer with his father and me before he goes off to college. Some mothers of teenagers, let alone nonbiological mothers, might be appalled by this turn of events, but I’m delighted. My Adored Stepson inherited many of the characteristics I like in my Beloved, so I enjoy his company and am considering time with him this summer to be a gift. But stepping into the role of stepmother hasn’t always been easy. Sometimes, it has been … well … how do I say this … bang-my-head-against-a-wall, heartbreakingly difficult. Days like today, when I get to engage my stepson in a Mother’s Day conversation about his last day of work, tomorrow’s business class exam and ethics of $3 T-shirts made in Bangladesh make all those other, less satisfying moments worth it. 1. Outwit, outplay, outlast. If you can’t outwit and outplay a 13-year-old, you’ll never outlast one. 2. Do not be the leader. Leaders get voted out of “Survivor,” and bossy stepmothers are unlikable all the way around. 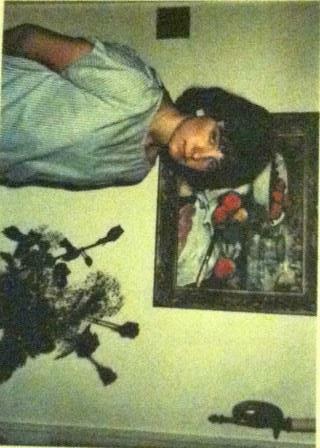 I learned early on that I had no role as disciplinarian, and thank goodness, my Beloved was up to the task. 3. Don’t be a follower either. Children — biological or step — learn how to push their parents’ buttons. If you let them get to you, they win. 4. Be nice but don’t be too young, too pretty or too stupid. Having to compete for your spouse’s attention helps no one. Be yourself. Be sincere. Help with homework. Care. 5. Keep your emotions in check. Dawn’s crying jags on this season’s “Survivor” are a little too much. Yes, the actions of my stepchildren have made me cry. Crying is good sometimes. But not on camera or under the hot lights. 6. Being a good cook helps. If you can’t be a good cook, tend the fire. My tastes and my stepson’s tastes do not jive. Thankfully, my Beloved is a good cook. And I clean up after him well. 7. Lighten up. On “Survivor,” lunatics get voted out but people like to keep funnymen around. In the end, the comedians are often the “fan favorites.” In my step-dynamic, Caswell tells the jokes and I laugh at them. In the words of Martha Stewart, this is a very good thing. 8. Avoid lying. Blindsides make for good tribal councils, but blindsided contestants tend to hold grudges when it comes time for the final vote. That goes double for stepchildren. 9. Win immunity challenges at any cost! There have been a lot of challenges in this season’s survivor requiring contestants to stand, balance, hold on or hold their breath the longest (I found that challenge involving the metal grate and the rising tide really uncomfortable to watch, but Brenda didn’t panic and ultimately won). Similarly, sometimes the best tactic for a stepmother is hold on longer than she ever thought she could. 10. Don’t monopolize the challenges either. If you’re seen as huge threat, you’ll be voted off. Stepchildren don’t like threats to their security either. Enjoy the “Survivor” finale tonight! And happy (step)Mother’s Day! I wonder how many times Leonard Nimoy heard “Live long and prosper” today. It’s his birthday. He turned 82. Being a fan of “Star Trek” (that’s Trekker to the rest of you), I am an admirer of the man who made pointy ears a serious costume. I’ve been impressed with how he molded his career in the years after his iconic role and the ways he used his fame as a foothold to bigger things (he’s a pretty good movie director, for example). I’ve gotta believe, however, being so closely associated with a singular character must be difficult. He did, after all, write “I Am Not Spock” and then decades later, “I Am Spock” (see? an author, too!). He, above all, can’t escape his alter ego. “Not a day passes that I don’t hear that cool, rational voice commenting on some irrational aspect of the human condition,” he wrote. In any case, here’s a fan wishing him on his birthday a portion of the joy he’s imparted through the years as an entertainer. Do you have any message for your mother? Tell her … I feel fine. For a fun diversion, proud women of a certain generation will appreciate Tina Fey’s “Bossypants” because you’ll get her jokes. The rest of you are out of luck. I laughed out loud (that’s LOL to those of you born after I graduated from college) many times while reading Tina Fey’s memoir, and it was worth every penny and every minute I invested in it. But I’m a sucker for celebrity memoirs. If you’re looking for a complete documentation about what makes the former “Saturday Night Live” writer and creator of “30 Rock” funny or genuine, you’ll have to wait for the unauthorized biographies. Fey’s telling of her own story glosses over some of the details (her facial scar) and jumps around. But it’s a satisfying and entertaining portrait of a feminist comedienne of today. It also showed me someone with a gargantuan ego who has a lot of false modesty. 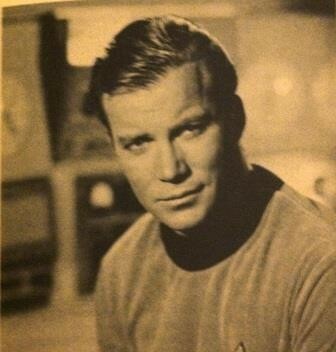 The caption reads: The “highly prestigious,” not to mention “extraordinarily handsome,” new captain. What a guy! Listen, I love Capt. Kirk, and I’ve held on to his hardcover memoir for two decades, but he’s just kind of harsh sometimes. 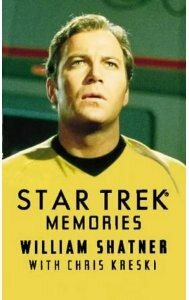 Shatner, meanwhile, writes an epilogue about how much some of his cast members hate him and how it’s really too bad. Genuine, I thought, but as self-serving as Fey justifying her life choices (it’s worth reading Nichelle Nichols’ and James Doohan’s memoirs for their unvarnished perspectives). In conclusion (isn’t that how a rule-following high school student wraps up her compare-and-contrast assignment? 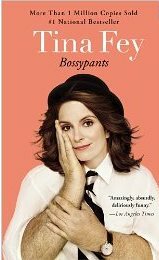 ), “Bossypants” succeeds at amusing readers, particularly ones who are female, mothers or fans of “30 Rock.” Though she might show moments of false modesty, I found her memoir to be genuine and playful, sort of like having lunch with a funny performer. Which shouldn’t be surprising — she is. Today was April 15. For me anyway. I spent 12 hours yesterday entering numbers into QuickBooks in preparation for a meeting with our accountant (yes, even the CFO has to answer to an “accountant,” lowly he is not — thank goodness for his informed brilliance). This morning, I discovered one entry in the amount of “e” (?) and another with a date of 2/01/212. Now that’s an ancient expense! We got done what needed to be done, errant entries be darned, so now I’m chillaxin’ with both last night’s and tonight’s episodes of “The Voice” (go Minnesotan Nicholas David!). Nothing like a little reality TV to erase the pressures of ledger reality! “The Voice” keeps getting better every week. Maybe it’s because I have a couple of iTunes cards burning a hole in my pocket (you can buy your favorite songs of the evening on iTunes — how’s that for almost instant gratification?). The contestants on “The Voice” do covers of popular music (yes, pop, so sue me) that make old music new again. If you haven’t been watching “The Voice,” it might be hard to get into it because you don’t know who to root for and you don’t know the backstories. But you should check it out anyway. Just watching it cheers me up. The music is so fun. Except for Christina Aguilera. I pretty much hate anything that comes out of her mouth. Ignore her. The rest is a joyous distraction. And at the end of a long Monday, there’s nothing better.